Discontinued – Please consider MBB300C and a touch screen of your choice. 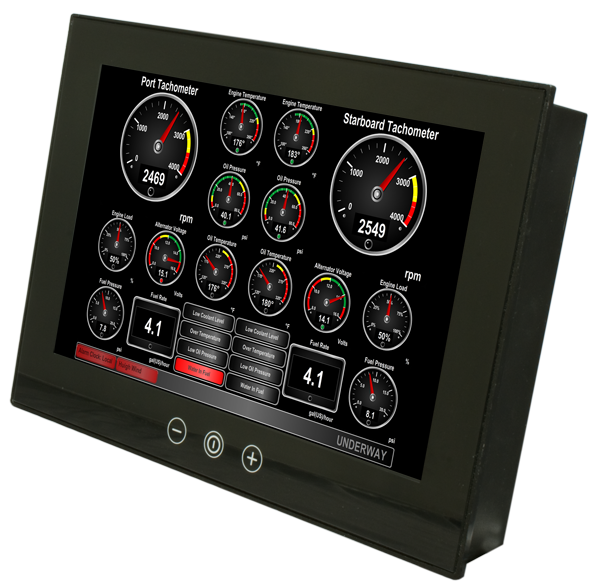 The TSM1330C is a 13.3” dedicated touchscreen that includes Maretron’s N2KView® vessel monitoring and control software. The N2KView® software allows you to configure as many favorite screens as you want with exactly the information you want to see. The TSM1330C provides an extremely simple touch interface for monitoring and controlling critical systems from anywhere on the vessel. The TSM1330C is ruggedized for marine use and includes a solid state disk drive to withstand the pounding associated with waves. And since the TSM1330C only dissipates 20 watts, there is no need for internal cooling fans that are noisy and wear out causing electronics to overheat and fail. The TSM1330C can be mounted outside given the waterproof front. 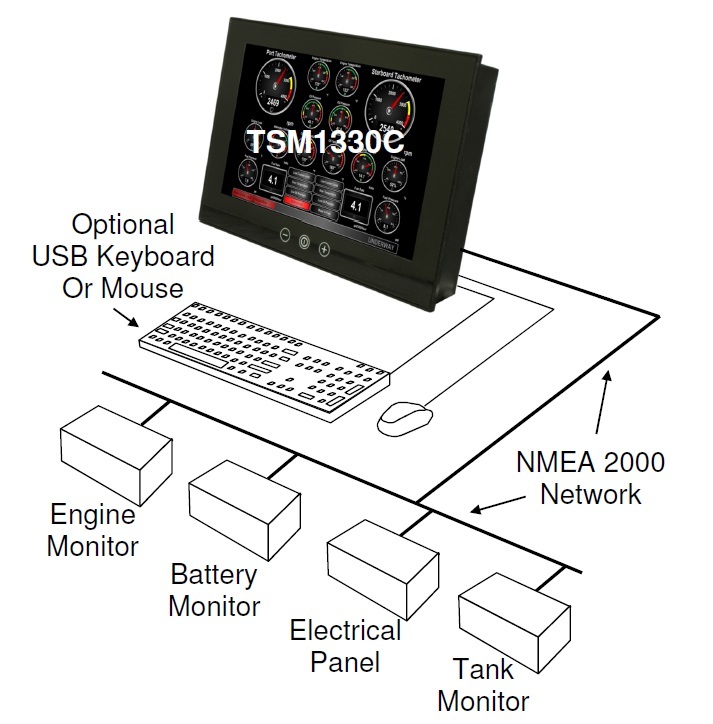 As an alternative to controlling the TSM1330C through the touch screen, the TSM1330C includes two USB ports for connecting keyboards, mice, or trackballs. The TSM1330C also has an Ethernet port for connecting Internet Protocol (IP) cameras for viewing within the N2KView® software. Lastly, the TSM1330C contains two completely isolated CAN bus connectors (M12) for easy connection to single or redundant NMEA 2000® networks.